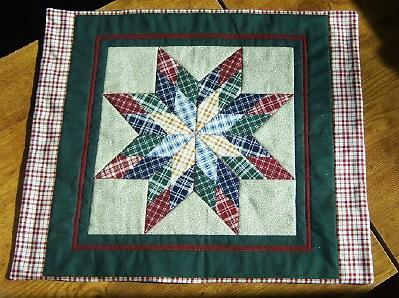 This is a pretty country star placemat to dress your table. Stitch in the ditch around the star and the borders gives it a full appearance. Colors in burgundy, green, blue and gold with a back in hunter green. I can make more so feel free to order additional pieces. I will just need the time to sew them.